Ayubowan and a very warm welcome! Ayubowan and a very warm welcome! We're delighted to offer you this brand newly built apartment situated in the heart of Negombo and just a 15 minutes drive from the airport! Negombo is your gateway to this most beautiful island! A charming city with many tourist attractions on offer! From strolling the local markets to relaxing on its sandy beaches in true bliss! Boat rides on the ancient Dutch canal that take you straight onto the open sea, and much, much more..! Our stunning newly built sunny apartment offers the highest luxurious standards including all modern amenities. A fully equipped kitchen with plenty of space which is perfect for when you want to cook for yourself or hosting guests! The master bedroom has an en-suite bathroom and a private balcony. The other bedrooms also have their own balconies (perfect for smokers) providing natural sun and beautiful views onto lush greenery! The beautifully furnished dining room has a huge veranda enhancing space and ability to have barbeques and enjoying the year round glorious weather! On the top floor there is a swimming pool with spectacular views, a gym and a roof top restaurant available for use 24/7! Once you're ready to explore the "Pearl of the Indian Ocean", we have a personal tour guide who will be delighted to help you create everlasting memories of the amazing sites to see! In order to arrange this please get in touch with us. We very much look forward to welcoming you and hope you have the most memorable experience our world renowned hospitality has to offer! See you soon & Ayubowan! Ayubowan and a very warm welcome! 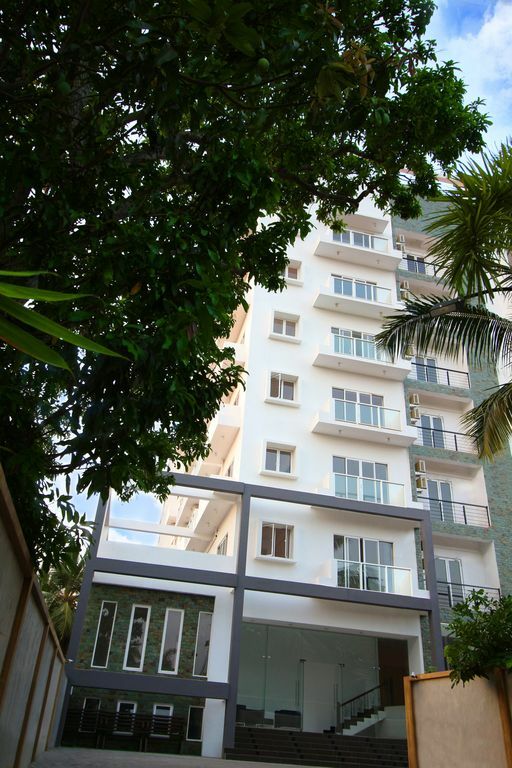 We're delighted to be able to offer you this brand new apartment situated in the heart of Negombo, just a 15 minutes drive away away from the airport!